Asian shares regained some poise on Friday after a tough week in which the gathering risk of a U.S. rate rise lifted Treasury yields toward nine-year highs and boosted borrowing costs across the region. Activity was mainly confined to book-squaring for the end of the month and quarter, and moves in markets were modest at best. Many markets in the region have been cold-shouldered this week as investors priced in a greater probability of a rate hike from the Federal Reserve in December. Adding to the upward pressure was President Donald Trump’s proposals for steep tax cuts which, if passed, could benefit U.S. corporations’ profit margins. The plan, however, lacked any detail on how it might be paid for and faced much opposition in Congress. Still, a tax cut that made U.S. equities more attractive while lifting the dollar and Treasury yields would likely prove negative for emerging markets, particularly those that relied heavily on foreign investment. The risk alone was enough to rattle share, bond and currency markets in Asia on Thursday, and they will remain vulnerable to headlines on the tax package as it moves through Congress. Early readings on Chinese manufacturing are out on Saturday ahead of a week-long holiday in the Asian giant. The EU also faces more political uncertainty on Sunday when Catalan separatists are set to defy Spanish efforts to block an independence referendum. The dollar inched higher against a basket of major currencies on Friday and was on track for its biggest weekly gain so far this year as investors pondered the Trump administration's tax plan and the outlook for Federal Reserve policy. The dollar has risen on renewed hopes for U.S. tax reform, as well as comments from Federal Reserve Chair Janet Yellen that stressed the need for gradual interest rate hikes. Profit-taking and caution about political hurdles facing the U.S. tax plan seem to be tempering the dollar's momentum, said Stephen Innes, head of trading in Asia-Pacific for Oanda in Singapore. The White House struggled on Thursday to defend its new tax plan against criticism that it would help the rich at the expense of lower classes, as Republicans in Congress prepared to move ahead with actual legislation. President Donald Trump had unveiled a plan on Wednesday that calls for lower tax rates for businesses and individuals as part of a comprehensive overhaul of the U.S. tax code. Later on Friday, investors will turn their focus to U.S. economic data, including the personal consumption expenditures (PCE) price index for August. One focus for next week is U.S. job data due on Oct. 6. The common currency has rallied nearly 12 percent against the dollar so far this year as worries about the rise of anti-establishment political forces in Europe faded while expectations rose for tapering the European Central Bank’s stimulus. The euro, however, has been weighed down this week after the results of elections in Germany on Sunday. Chancellor Angela Merkel won a fourth term in office but will have to build an uneasy coalition to form a government. On Thursday, it had gained 0.4 percent, after Britain's Brexit secretary said "considerable progress" had been made in talks and the EU's chief negotiator praised a "new dynamic" from the prime minister. Crude oil prices edged higher on Friday in Asia with sentiment underpinned by an ongoing rebalance of supply and demand and geopolitical tensions over rumblings for Kurdish independence in Iraq. As well, investors await the Baker Hughes rig count later on Friday for the weekly update on the number of U.S. rigs drilling for oil. Overnight, crude oil prices settled lower on Thursday as traders unwound some of their bullish bets on crude but sentiment on oil remained positive following inventory data on Wednesday showing a surprise draw in crude oil supplies. Crude oil prices fell as investors appeared to take profit on the recent rally which has seen oil prices hit multi-month highs on expectations that higher global demand would nudge the market closer toward rebalancing. Geopolitical tensions, meanwhile, limited downside momentum as Turkey vowed to deal only with the Iraqi government on crude oil exports after Iraqi Kurdistan voted overwhelmingly in favour of independence earlier this week. The pipeline linking northern Iraq to the Turkish port of Ceyhan carries 500,000-600,000 barrels of crude per day. Crude oil prices are on track extended their weekly winning streak to four weeks following strong gains earlier this week on the back of data showing weekly crude exports jumped to their highest on record while refinery activity showed signs of stabilizing. Inventories of U.S. crude fell by roughly 1.9m barrels in the week ended Sept. 22, the Energy Information Agency reported Wednesday, confounding expectations of a rise of 3.4m barrels. he widening spread between brent and crude oil prices reached $7 earlier this week, prompted a sharp rise in demand for crude, spurring an increase in exports. The U.S exported record 1.5m barrels per day of crude oil last week, the EIA said Wednesday. The recent uptick in U.S. oil prices - above $50 a barrel – has spurred drilling activity, however, raising investor expectations of an uptick in shale output, which could weigh on upside momentum. Gold on Thursday made its intraday high of US$1288.70/oz and low of US$1277.62/oz. Gold was up by 0.413% at US$1287.27/oz. Based on the charts and explanations above; sell below 1288-1319 keeping stop loss closing above 1319 and targeting 1284-1273 and 1263-1252. Buy above 1284-1263 with risk below 1263, targeting 1288-1294-1300-1311 and 1319-1324. Silver on Thursday made its intraday high of US$16.88/oz and low of US$16.66/oz. Silver settled up by 0.717% at US$16.85/oz. Based on the charts and explanations above, buy above 16.50-15.65 targeting 17.00-17.30-17.70 and 18.00-18.35; stop breakage below 16.00. Sell below 17.00 -19.30 with stop loss above 19.30; targeting 16.80-16.50 and 16.00-15.60. Crude Oil on Wednesday made an intra‐day high of US$52.84/bbl, intraday low of US$51.21/bbl and settled down by 0.845% to close at US$51.59/bbl. EUR/USD on Thursday made an intraday low of US$1.1720/EUR, high of US$1.1803/EUR and settled the day up by 0.357% to close at US$1.1785/EUR. GBP/USD on Thursday made an intra‐day low of US$1.3341/GBP, high of US$1.3454/GBP and settled the day by up by 0.433% to close at US$1.3441/GBP. Based on the charts and explanations above; short positions below 1.3450-1.3770 with targets at 1.3400-1.3350 and 1.3270-1.3200. 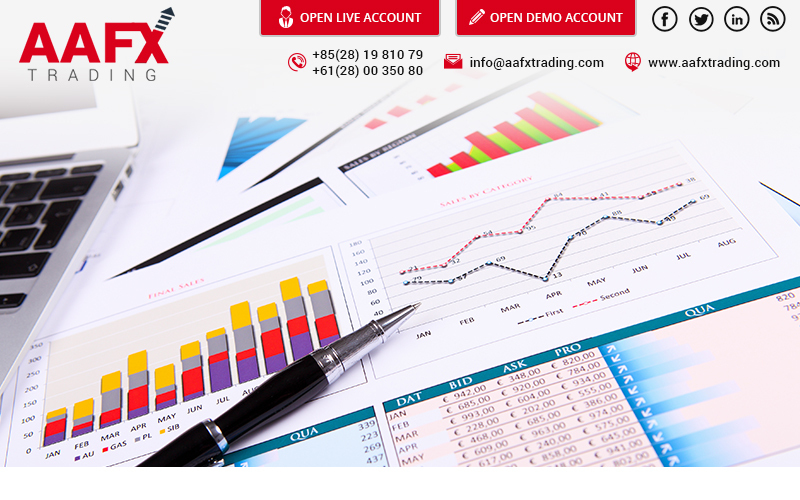 Buy above 1.3400-1.3300 with stop loss closing below 1.3200 targeting 1.3400-1.3450-1.3500 and 1.3610-1.3700. USD/JPY on Thursday made intra‐day low of JPY112.24/USD and made an intraday high of JPY113.20/USD and settled the day down by 0.425% at JPY112.33/USD. Sell below 112.80-114.50 with risk above 114.50 targeting 112.80-112.30 and 111.50-111.0-110.35. Long positions above 112.80-111.10 with targets of 113.60-114.00 and 114.50-115.00 with stop below 111.00.